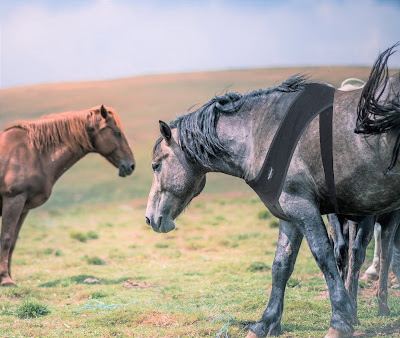 Managing weight can be a constant challenge for some horse owners with either horses that live on fresh air or horses that can’t hold weight. Thanks to feed companies and independent nutritionists and guidelines, we try our best to devise accurate feed rations suitable for each horse’s workload and activity level. However, even with regular work, it is difficult to classify the intensity at which the horse is working and to know exactly just how much energy the horse is using. Research has frequently shown that the workload perceived by owners tends to be far higher than reality, yet there remains no objective way to measure this (Hale et al., 2016). In humans, health and fitness trackers such as FitBit help us monitor our energy requirements from activity so that we can balance this with the calorie intake we consume. For horses however, there is very little we can do to objectively determine energy needs based on activity and this is what Trackener endeavours to change. 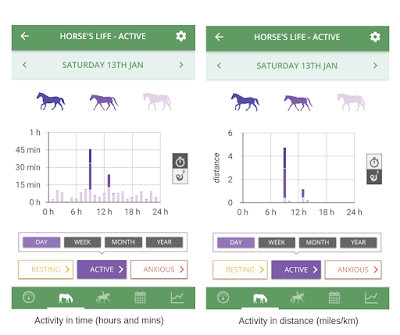 By providing detailed information on both activity at rest and exercise, the Trackener app assists horse owners when making decisions on nutrition and workload. At the simple glance of the active screen as shown below, users can see in time (left) and distance (right) how active the horse has been for each hour of the day, with the different shades of purple relating to the gait shown by the icons above. Many users expected their horses to be quite active in the field but discovered with Trackener that this was often not the case! Due to relatively small field sizes and the supplement of forage in the form of hay in one place, horses tend to move far less than anticipated during turnout, therefore increasing the need for exercise and activity in addition to time in the field. Having a quantitative measure provides evidence behind guess work, helping owners be more proactive when estimating nutritional requirements to keep on top of weight. During exercise sessions, the horse's performance can also be broken down into heart rate, speed and the time spent in each gait, ideal for following a vet guided weight loss programme involving a certain duration of walk and trot and to monitor progressive fitness. Once again, this feature provides an objective measure of just how hard the horse is working for feed to be adapted. It is not unusual for riders to overestimate the time spent exercising the horse overall or in one particular gait. For instance in canter which most of our users perceive as much longer than recorded. 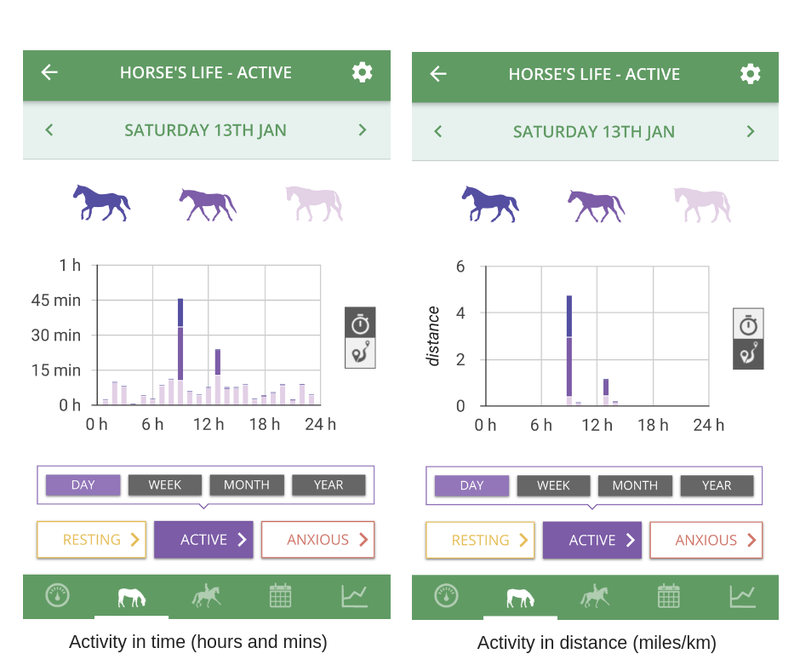 On the other hand, if it is a mystery as to why a horse is dropping weight and condition, monitoring a horse from the app to see their physical activity at rest (during turnout and time in the stable) may reveal the horse in fact requires more energy rations. Some anxious horses can present as walking the majority of the time in the stable which symbolises movement or fidgeting behaviour. Without being there 24/7, we would not be able to detect this without the app. Similarly, these small movements can reveal how well the horse travels. Due to sweating and water loss, it is common for the horse to drop weight during travel. 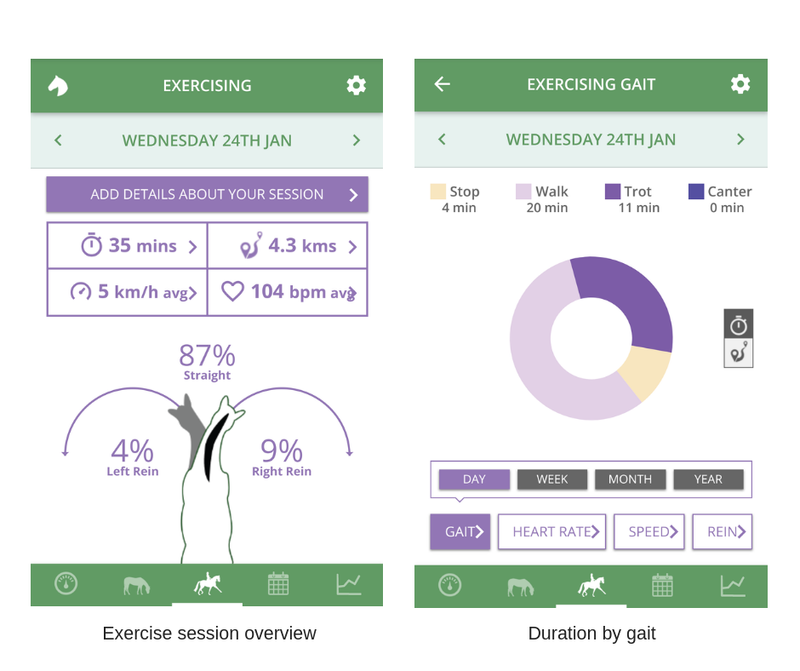 With movement detection and heart rate, it is possible to tell how mobile the horse becomes on the lorry or trailer and pinpoint when to take breaks. To learn more about how Trackener can help you monitor your horse during transport, click here. As everything we do at Trackener is research and science driven, we are currently working on a number of projects to define a more accurate measure of the horse's energy expenditure and a rough estimation of calories burnt. If anyone is interested to hear more about this or work with us on this project, please get in touch. In addition, we have been using the kits to objectively compare the activity of liveried horses throughout the seasons to reveal how much the horse is actually moving compared to how much owners think they are moving. Keep an eye out across our social media to read the full research findings. Better still, sign up to our newsletter so that you never miss our latest news or research results. Interested to find what's best for your horse(s) with Trackener Life? Don't hesitate to explore our website further, kits are available to order here . We can't wait to welcome you to the Trackener community! Hale, C. E., Hemmings, A. J., & Randle, H. (2016). Accuracy of horse workload perception by owners when compared to published workload parameters. Journal of Veterinary Behavior: Clinical Applications and Research, 15, 94.